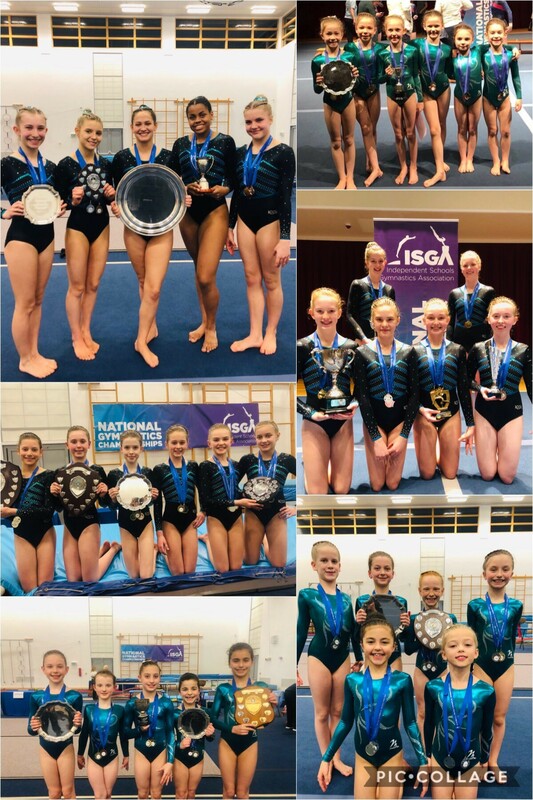 Congratulations to the Tormead Gymnasts who have won Overall School ISGA National Title for the fifth consecutive year. Tormead entered six gymnastics teams in the competition, with four taking Team Gold, and two taking Team Silver. 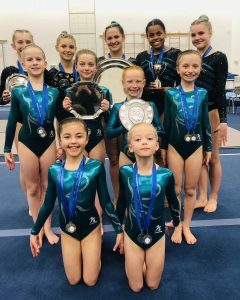 On Friday 1 March, our youngest gymnasts (U9s) competed alongside our more experienced U15 team to kick start the ISGA National Finals. The U9 team performed with confidence and style despite their young age to come away with the Team Silver medal and a third place in the group sequence. The U15s determined to improve upon a third place finish at last year’s Nationals and took to the competition floor with elegance and great team work, securing the U15 National Title. It was a fantastic start to the weekend. Day two of ISGA did not disappoint. The U11 and U13 teams, inspired by the previous days results, performed beautiful floors combined with powerful vaulting. It was indeed ‘Super Saturday’ with both teams taking home the National Title. The U13 team group floor impressed the judges so much it was the winning group routine of the day and they were asked to showcase their routine during the presentations to a packed audience. The third and final day was a chance for our U10 team and our most experienced O13 team to compete. With three National Team Titles and one silver already secured, these teams did not want to go home empty handed! Cheered on by girls who had competed previously and their parents, there was certainly a buzz in the air. Both teams had excellent competitions and held their nerve on all pieces. The O13s took the National title and the U10s came away with the team silver and a first place in the group floor. 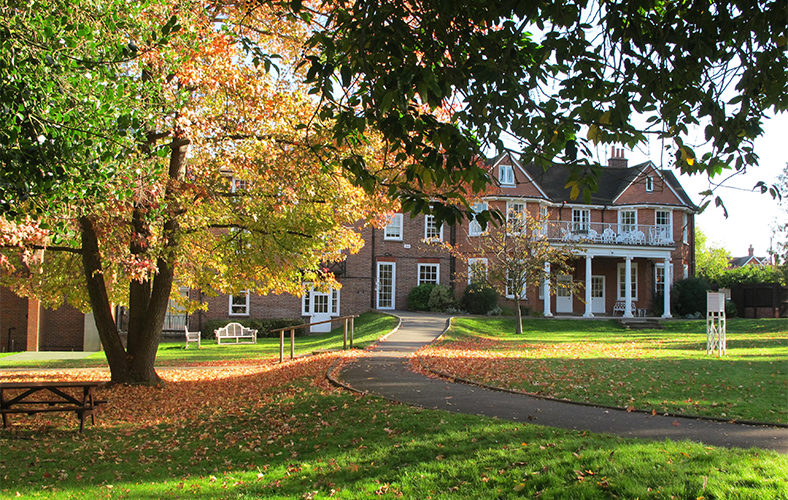 The team placings across all age groups meant that Tormead were crowned the Overall School ISGA National Champions. : a truly fantastic weekend of Gymnastics. Tormead gymnasts were also successful in picking up Individual age group Champions and Top 6 placings.